Church of the Big Sky: Gremlins and Widgets and Disney, Oh My! Recently, I sent a little talisman out to a musician friend who was headed out on tour. The talisman has a neat story behind it that, likely, most people don't know. So, I've adapted the text of the letter to my friend to share the story here with you. 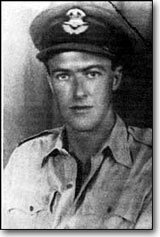 Back in 1942, before he was a writer, Roald Dahl was simply RAF Flight Lieutenant Dahl, a fighter pilot badly injured after a terrible combat crash. During his recuperation, Dahl was sent to the United States to serve as an attache and started dabbling with words in his free time. Eventually, he wrote a serialized tale of little cantankerous creatures that engaged in the “diabolical sabotage” of RAF aircraft. The crafty critters end up befriending an injured British pilot (like Dahl himself) and become RAF allies, damaging German aircraft in battle above Europe. Dahl dubbed these creatures “gremlins,” and, the next year, Walt Disney decided to publish an illustrated book of Dahl’s work (his very first children’s book) and turn it into an animated film. Though the film was never made and the book only published in a run of 5,000 now-rare copies, Dahl’s work left us with his invented words that are part of our every day life now: “gremlin” and “widget” - his name for gremlin younglings, the little cogs in the works. The story gave us another word, too, but one that only a few people remember: fifinella. That was Dahl’s word for the female gremlins. In 1943, one of my mom’s colleagues, having been given a copy of “The Gremlins,” approached the Disney Company to see if Uncle Walt might be willing to do the Women Airforce Service Pilots (W.A.S.P.) 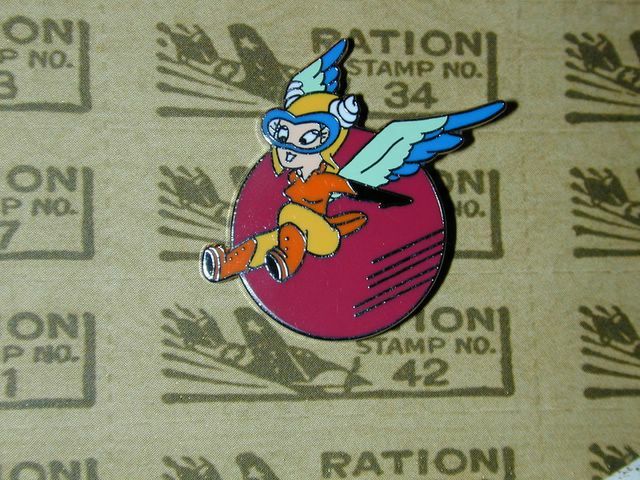 a favor: could these women pilots adopt “Fifinella” as their mascot? Not only was Uncle Walt willing, but he personally drew a feisty version of the female gremlin, begoggled and fierce, for the W.A.S.P. to use. With the permission of Disney and the blessing of Roald Dahl, Fifinella became the W.A.S.P. mascot and guardian angel. “Fifi” has been part of my life as long as I can remember. 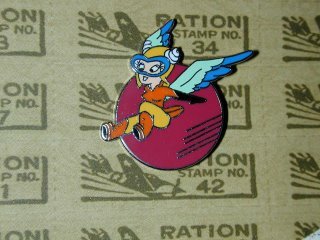 And my mom liked to give out pins and patches with the she-gremlin’s likeness to family and friends to commemorate Important Life Moments. I remember her giving me a Fifinella pin when I moved to Moscow back in 1989 - just a little good luck from the Greatest Generation. When I moved back from Moscow, my sister Nurse Rachet had found a little machine embroidery shop in our local mall in Moline, Illinois where the seamstress was willing to scan and program Fifinella into her machine. I now have this rockin' denim jacket with Fifi embroidered in a wide circle on the back - I wear a set of Mom's sweetheart wings on the collar. It's just a neat connection to a bygone era, and to my mom. So, in honor of my friend going out on tour, taking a big step and having an Important Life Moment, I sent him a little Fifinella lapel pin. I figure a little good luck can't be a bad thing, and it's always smart to remind the gremlins whose side they're supposed to be on! May we all have an Important Life Moment now and then. And may our gremlins always serve us well. This was fascinating. I learned something totally new. I also liked that you gave your friend the pin to have with them.